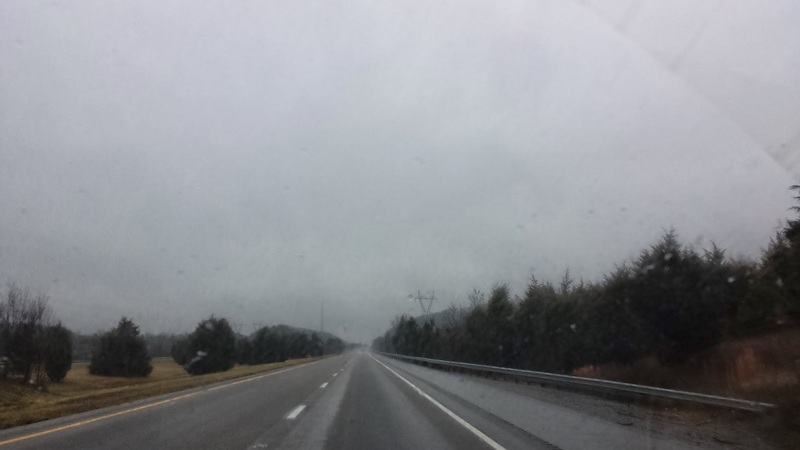 Driving back through Tennessee we got some heavy rain that turned to snow just outside of Nashville. We have stopped for the night and will continue in the morning. The forecast is for cold and sunny. The snow has already stopped. Nice pic but I have a good idea. It is way cold here so just head south down to the Gulf Coast until it warms up here. Get home safely. We're having dire weather warnings for western England and Wales. No snow thus far for us but gales and heavy rain causing serious flooding problems. Like your picture.